Many people may have used cashback sites in their home country in order to save money, others might still need to discover them. 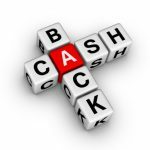 Here we’ll give you a short background on what cashback sites are about and then give you the details on three sites in Spain that you can use to save money. Cashback sites are all about affiliate marketing and commissions. These days most ads on websites are actually affiliates – so when you click on an ad a cookie is placed on your computer and the original website owner will get a small payment (can be a percentage or a fixed amount) if you make a purchase on the advertiser’s website (some will even pay just for registering). What cashback sites offer is that the amount paid by the advertiser is credited directly to you. So, lets take as an example that you want to book a flight with Jet2.com. Normally you would go directly to the Jet2 website and make your purchase. However, if you did this through a cashback site with which Jet2 is affiliated, you could get 3€ in your cashback account. In order to actually get your cash you may need to reach a payback threshold and of course the amount you accumulate depends on the type of goods you buy online and with what frequency. Avoid cashback sites that ask for an upfront payment – most take an annual administration fee AFTER you’ve actually received cashback. 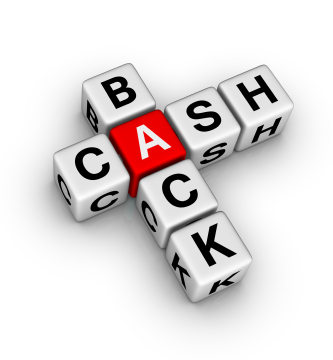 Cashback sites are not regulated like banks are, so never leave money over the repayment threshold for long. If a cashback site closes you’ll never see your money – so it’s better to treat the cashback as an extra rather than depend on it. Don’t buy things you wouldn’t have bought anyway – otherwise there’s no saving! Don’t forget that just because a company is on a cashback site it doesn’t mean that it’s necessarily the cheapest, you should still use a price comparison site to check first (such as Kelkoo or Twenga in Spain). If you’ve already visited some of the websites, your computer may have cookies already installed. So in order to ensure that the tracking system from the cashback site works, clear the cookies on your computer first. Most cashback sites won’t accept responsibility for failed cookies. Of course, if you order stuff and then send it back you won’t get any cashback. EBonus: Cost 6€ taken off amount accumulated in your account with EBonus once a year based on when you register with them. No minimum threshold to get your money back but payments above 50€ can only be by bank transfer. Cashback examples: Barceló urban hotels 20%, El Corte Inglés – up to 7% (depending on department), Carrefour online 3%. BeRuby: Can get cashback in some sites only by registering (check out “ahorrar sin comprar“), websites with higher payments tend to take 30 days to credit your account. Example of cashback: Hoteles.com 12%, Yves Rocher 16%, La Redoute 4€, Carrefour (tech products) 4%. Payment via PayPal or bank transfer. However, we couldn’t find any information on BeRuby’s commission nor on minimum threshold to get your money. Don’t forget – you can always register with most cashback sites in your home country and buy through their links as long as you have a PayPal account.